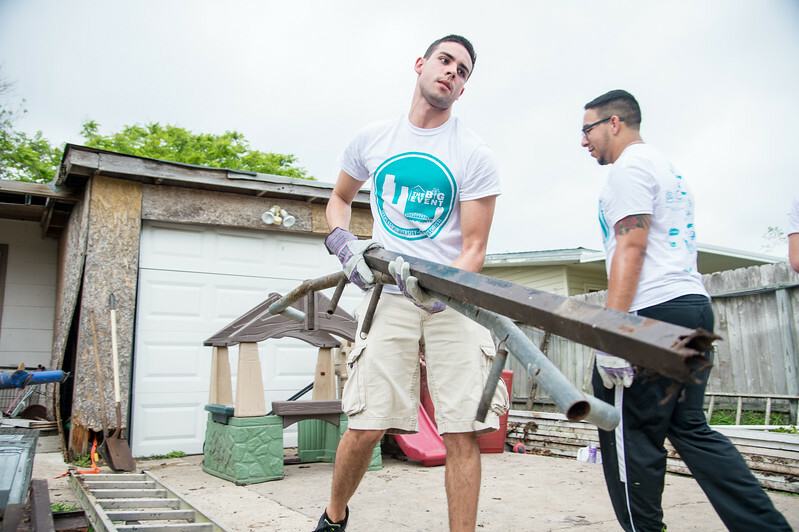 Student volunteers help clear metal objects from a private property during Student Volunteer Connection's "Big Event". 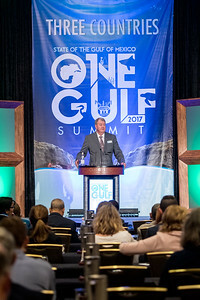 Dr. Larry McKinney welcomes attendees to the 2017 State of the Gulf of Mexico One Gulf Summit. 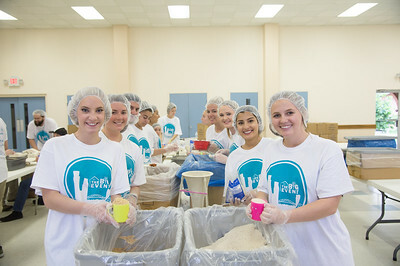 Students smile for our cameras while performing volunteer work in the community for Student Volunteer Connection's "Big Event". 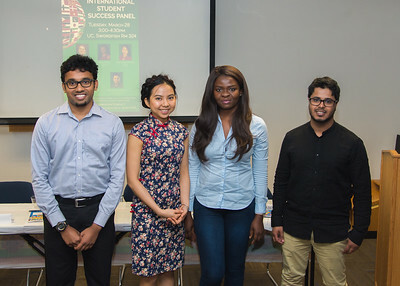 Arun Prassanth (left), Tran Hoang Ai Tran, Hilda Ofigo, and Abdulrahman Washili pose for a group photo after sharing their experiences attending TAMU-CC as international students during the International Student Success Panel. 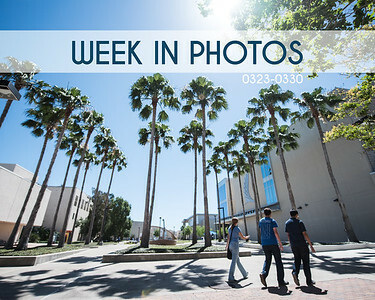 Kristie McClane (left) and Emerald Perez goes over classroom rules with 4th grade students at the Blanche Davis Moore Early Childhood Development Center. 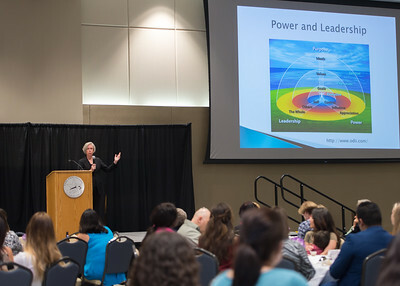 Keynote speaker Dr. Jane Mahoney addresses healthcare professionals and students during the 3rd annual Adele Bemis Leadership Lecture. 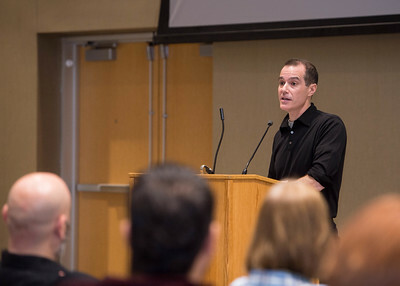 Dr. Karl Jacoby speaks to students and faculty about the history of the US-Mexico border during the Humanities Speaker Series. 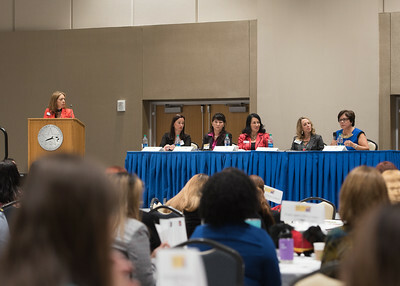 Panelists empower audience members through riveting discussion during the 2017 Women in Leadership Symposium. 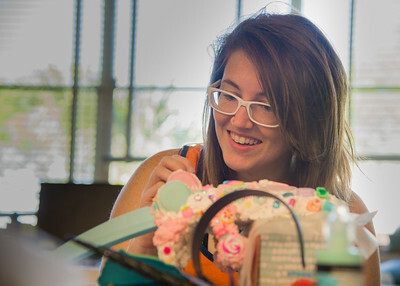 MFA candidate Allison Mott puts the finishing touches on one of her sculpture pieces. 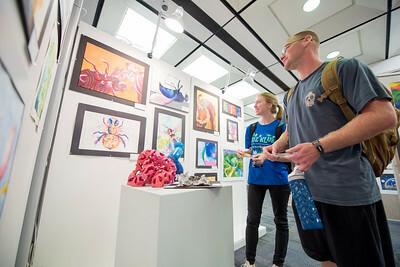 Kaitlyn Kronk (left) and Garrett Brundage visit the Mary and Jeff Bell Library to view art on display as part of the CCISD Youth Art Exhibit.